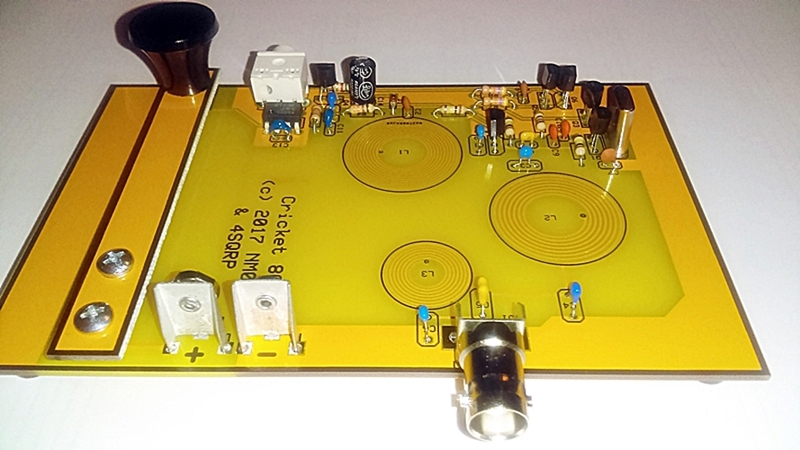 Dave Cripe (NM0S) has designed yet another QRP kit for the 4 State QRP Group: the 4S-Tuner/Antenna Coupler. This excellent random wire antenna tuner is the classic T-Match design which is known for wide matching range and smooth operation. Dave has added a nice wrinkle – the SWR indicator employs TWO leds, not the normally seen single red LED. A green one indicates output power with a red one indicating reflected power. The beauty of this arrangement is that the operator sees the output power peaking as the SWR goes down, just like a power meter with dual meters – very intuitive. This makes tuning easier and leaves no doubt that it’s tuned for maximum power output. For a high SWR the red LED is at full brightness and the green LED is off. At 2:1 both are at equal brilliance. At 1:1 the green is full on and the red is off. The small size is perfect for portable operations. 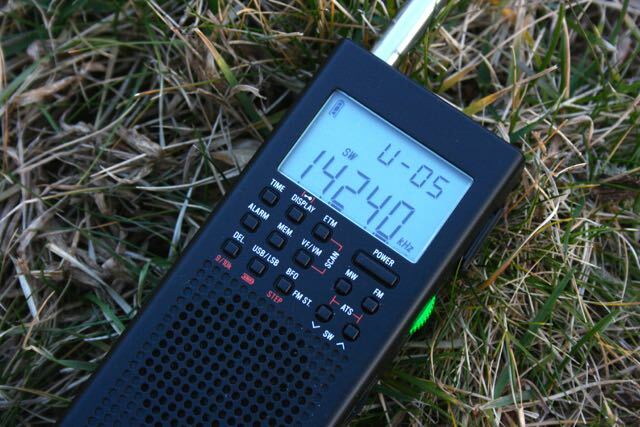 Add this dandy little tuner to your portable ops go bag, or use it at home. 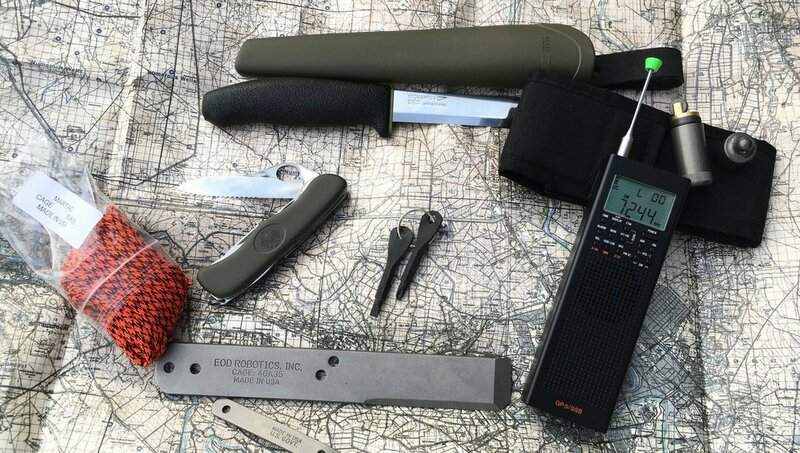 It’s equally at home on a picnic table, in a tent or camper, as well as on the operating desk in your shack. Wide tuning range: 80 meters thru 10 meters. 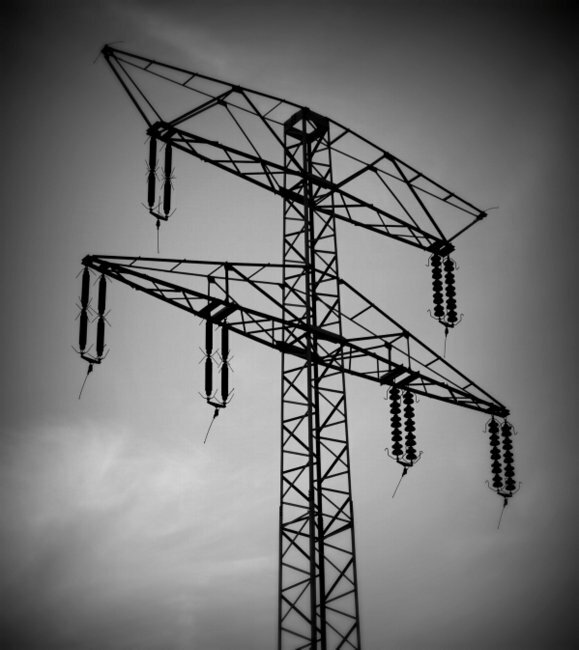 Tested on EFHW and 100′ wire. Maximum Power Throughput: tested at 10 Watts. Twelve taps for small inductance step selection. Low insertion loss when matched. Shipped price is $51.00 (US), $55.00 (Canada), $60.00 (Outside US/Canada). 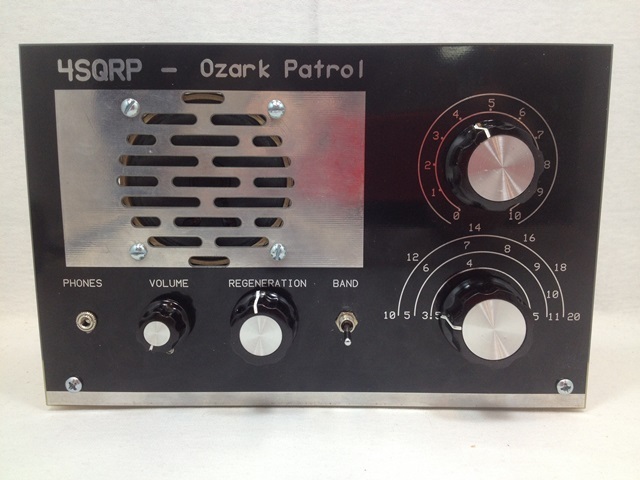 Dave Cripe designs excellent kits for the ham radio community; they’re easy to build, fun and functional. If this kit is as popular as his past kits, the first run will most likely sell out in short order. 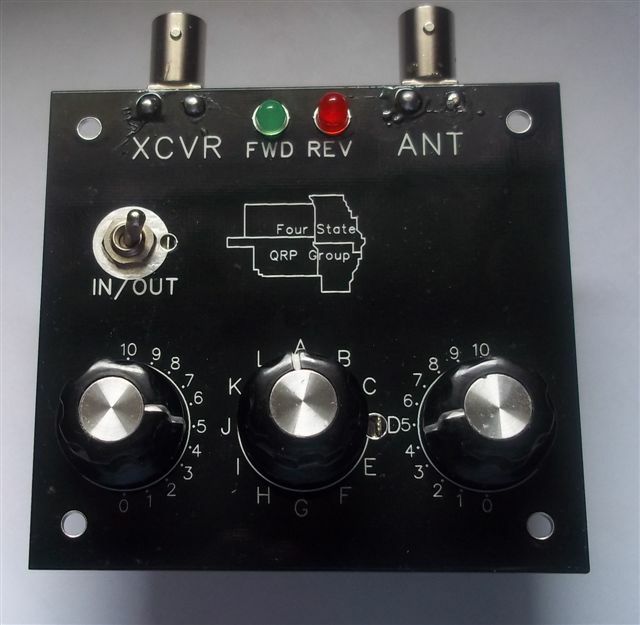 Click here to check out the 4S-Tuner/Antenna Coupler at the Four State QRP Group website. 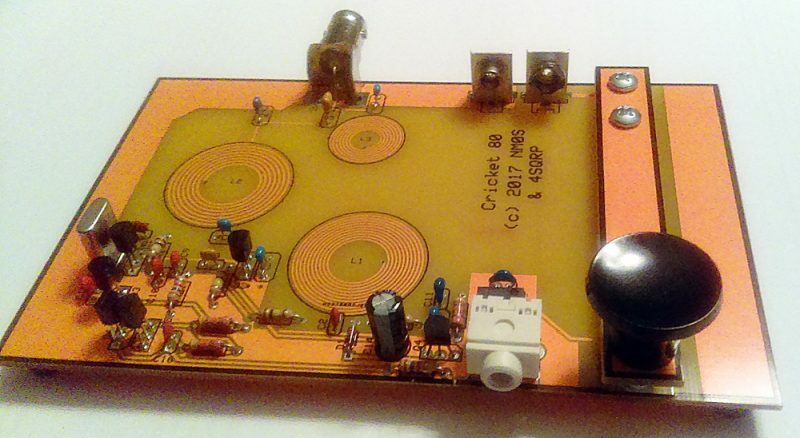 This entry was posted in Accessories, Ham Radio, Kits, News and tagged 4S-Tuner, David Cripe NM0S, Kits, QRP on November 10, 2015 by Thomas.